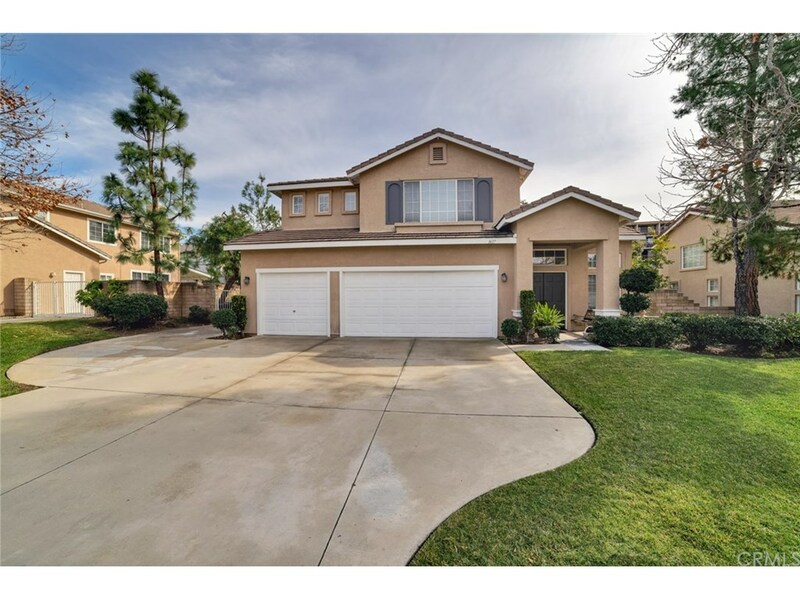 Gorgeous San Dimas Home located in the sought after community of Rancho Park Estates. 4 bedrooms (possible 5th) with a huge loft/ bonus area and 3 full Bathrooms with 2923 Sq.Ft of spacious living. Double door entry leads you into the formal living and dining rooms, new upgraded flooring throughout all the downstairs. Remodeled kitchen with Upgraded cabinets, granite counter tops, stainless steel appliances, center island, Pull-outs, recessed lighting, and a workstation. Large family room with cozy gas fireplace and extended area currently used as game room possible 5th bedroom if needed. Downstairs bathroom and shower have been completely remodeled with a new vanity with marble counter tops, and shower with new updated tile. Upstairs features a huge loft and 4 other bedrooms. Master bedroom with double door entry, white plantation shutters, and walk-in closet. Master Bathroom with new upgraded vanity, dual sinks, marble counters, remodeled shower / Jet tub with upgraded tile and new flooring. Relaxing Oasis Backyard with a pool & spa (removable security fence included), Alumawood patio Cover, kids play-set, large grass area, and RV parking. 3 car garage with direct access, and great curb appeal on a cul-de-sac. Located close to schools, shopping and Fwy 10,57,210 . Pride of ownership from original owners, Turnkey! !